The Chief of Staff of the U.S. Air Force, General Mark Welsh, departed Israel on Thursday after a four-day work visit. The Chief of Staff of the United States Air Force, General Mark A. Welsh, departed Israel on Thursday, concluding a four-day work visit, the IDF Spokesperson’s Unit said in a statement. The General was hosted by the Commander of the Israel Air Force Major General Amir Eshel. Heidi Grant, Deputy Under Secretary of the Air Force, International Affairs, and Chief Master Sergeant James Cody, Chief Master Sergeant of the USAF also accompanied the delegation, according to the IDF. During the course of his visit, General Welsh met with senior officers and defense personnel, including Chief of Staff Lieutenant General Benny Gantz. The officials discussed a number of topics including mutual security challenges in light of the regional security situation. General Welsh and Maj. Gen. Eshel also discussed plans to further strengthen the unprecedented cooperation between the USAF and IAF. General Welsh met with high ranking military officials to discuss mutual security challenges and cooperation. 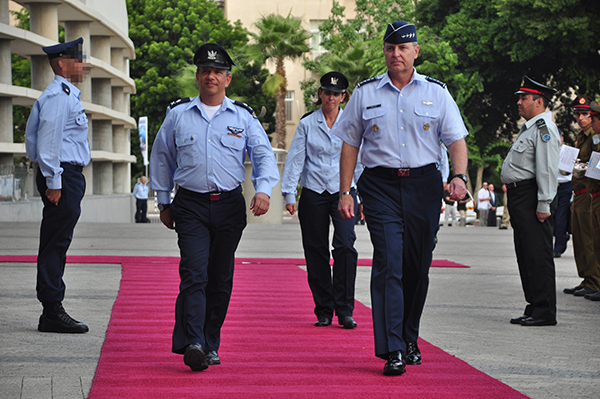 The IAF hosted General Welsh at a number of air force bases throughout the country. General Welsh visited the F-15I Ra’am fighter squadron and the IAF Flight Academy at Hatzerim Air Force Base. At Hatzor Air Force Base, General Welsh visited the IAF’s combat simulator squadron. General Welsh also made a working visit to Israel’s northern border and was hosted at the IAF’s northernmost airbase, Ramat David. In addition, said the IDF, General Welsh flew in an IAF Beechcraft-B200 Tzofit light reconnaissance aircraft in order to tour Israel’s borders from the air and better understand the current regional security situation. The United States Armed Forces and the Israel Defense Forces share a strong strategic relationship based on common values and professional excellence. General Welsh’s visit reinforced the unique American-Israeli alliance and strengthened the professional cooperation between the two air forces. 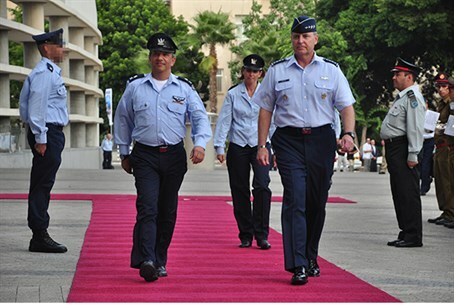 General Welsh has visited Israel in the past but this was his first visit in the capacity of Chief of Staff of the USAF. "It was wonderful to visit this beautiful country again, it was a great privilege to visit our partners in the Israeli Air Force,” said Welsh. “We had a chance to discuss opportunities for reciprocity with the amazing IAF people. It was a great honor to meet with former Air Force commanders and hear their stories about patriotism and leadership.